Click in the picture(s) for zooming in. as a cargo sailing ship in the North and Baltic Seas as far as Iceland. 1928 registered as the "Flora" and call sign NHCR, 1934 call sign OWSI. 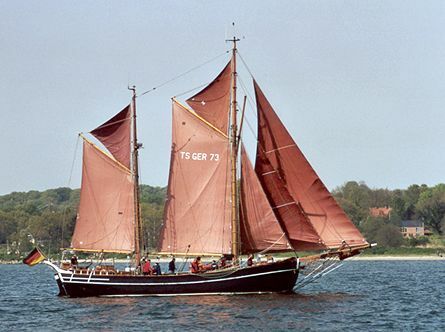 1969 renamed the "Ane Marie Grenius". "Carola" and call sign DQPO. the 'Orion Shipping Company' then. 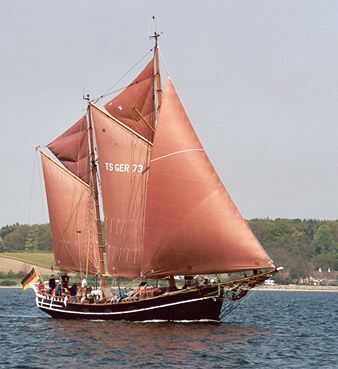 her ideal rigging also makes her very safe in bad weather. as well as in the bicentenal celebrations in America. and second place in the Transatlantic Race. 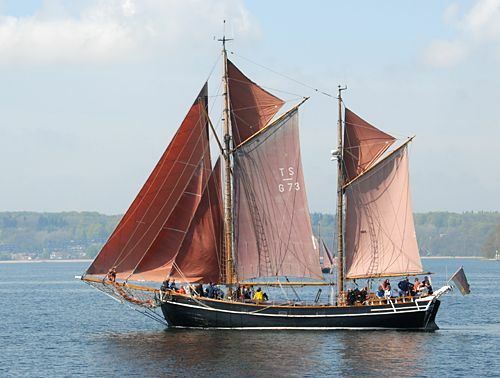 often participated in the Baltic Race and the "Harbour Festival" in Rostock. 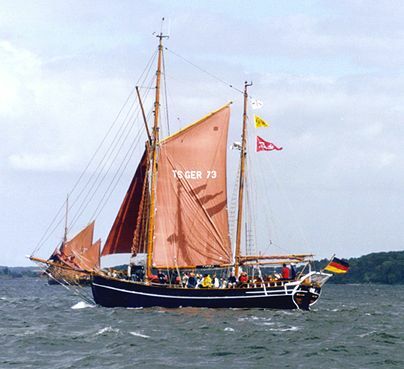 Jugendsegeln e.V., used for sail training purposes. renamed the "Courage", registration in Jersey, GBR first. We recommend the following references in the literature for your own studies. We have marked the literatur involved in generating the ship's profile with a sign. 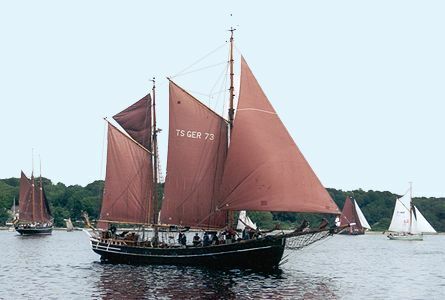 "Die schönsten Traditionssegler in Deutschland"
"Mitsegeln auf Sail-Training-Schiffen - Ein praktisches Handbuch der S.T.A.G. mit Schiffsportraits"
"Tall Ships - the Fleet of the 21th Century"
"Hanse Sail Rostock - Wo man sich begegnet"
The following information were added by visitors of this page. Click here to add any comments to the ship yourself. Sold and renamed the 'Courage'. registration records, held at the Marstal Museum, Aero.